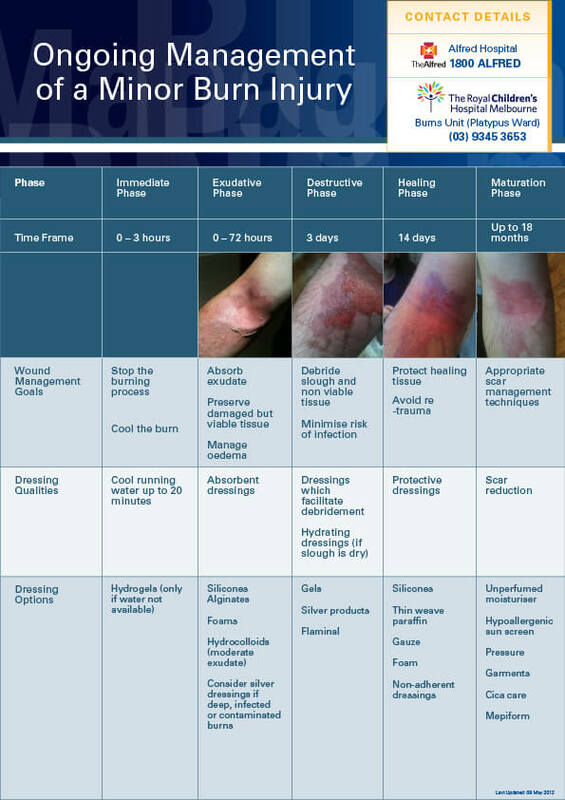 Burns wounds are dynamic and as such, different dressings will be required as the wound moves through different stages of healing. There is no single dressing that is best suited for the management of all burn wounds. In minor burn wounds which are expected to heal without complication, assess the burn and apply basic wound healing principles to determine the qualities required for a dressing and select from the availability locally and using the clinicians preference. The table below provides an overview of the overriding wound management principles as the wound moves beyond the acute phase through the stage of healing.